Yes we know that the website hasn’t been updated for some time! It’s because we have not only been on the road (see our travels section) but we’ve been RIDICULOUSLY busy working on a brand new TOP SECRET project. We’ve spent several weeks working on this exciting project and we can finally now reveal what it is! We have been working on a football gamebook with Hachette, New Star Games and Insight Studios. We think it is the first project of this kind in the whole wide world! The game book will be available in May to download as an app on IOS and Android formats. It combines narrative story and gaming. The story takes the reader from playing football in the park, to being spotted by a talent scout, then being signed to a football club. However, the story takes different paths depending on how the reader responds to situations and how well they play in the games. 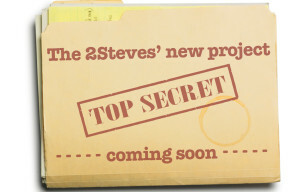 We’ll let you know even more about this exciting project in the coming weeks!